It's shocked me that in the years since Kvelertak blew up we didn't find a slew of simlar bands trying to build on their promise. But now we have the Norwegians in Fight The Fight, recently signed to Metal Blade with their uniquely powerful brand of anthemic metal, fusing elements of punk and death metal with the black and roll that makes Kvelertak so exciting. Featuring hooks upon hooks and all sorts of mainstream metal hints in an incredibly twisted soundworld it's hard not to raise your fist to the sky as you blast this band. 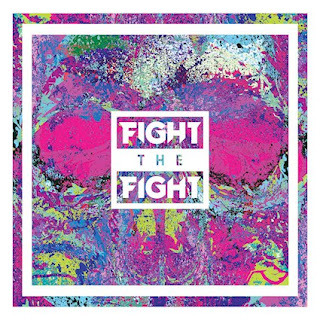 What makes me smile with Fight the Fight is the amount of swagger they bring to the table despite being young and crazy and only on their first record. The brash solo that defines the opening track is just one example of how thrilling these guys can be. Furthermore the balance of black metal elements with moments that wouldn't necessarily feel out of place in an Attila song is surprisingly interesting. Sure at times it feels a little bit over the top and even gimicky but that's a huge part of why I find this record to be so addictive. Sure it's weird and out there and breaks a lot of rules for bands I love, but it can't help but to keep growing on you. These guys crack your skull in time and time again with their crazed riffs and sense of fun that defines so much of their music. There is something strangely addictive about this record with its massive choruses and inherent self awareness. Fight The Fight might not be for the trvest metalheads, but if you want something to mosh along too and have a good time with then this is going to be an album that continues to expand and creates all manner of unique contradictions that you can't help but fall in love with.